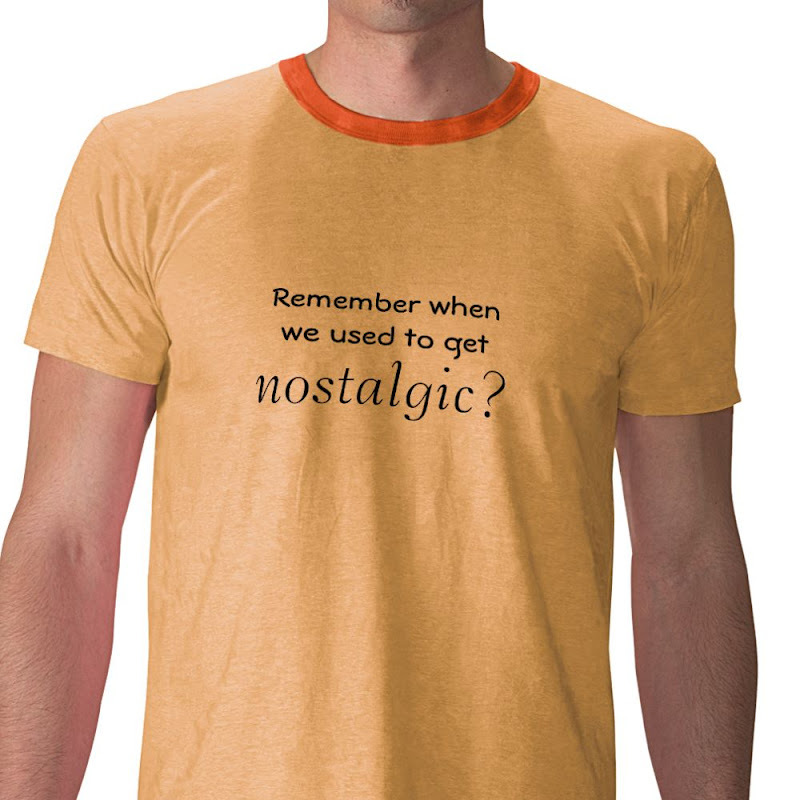 On the Happy site I saw this line: "let’s get nostalgic"
I immediately thought of something I wanted to put on a T-Shirt. I even did a Google search first and found NO hits. Jackpot! Unrelated, I saw this Digg article. "Glitter is the herpes of craft supplies"
"I remember when I used to really be into nostalgia."